Taken a 20-Hour Pre-Licensing Class but Still Feel Underprepared? Taken an Online MLO Prep Class and Still Failed the Exam? GET LIVE IN-PERSON TRAINING NOW! You’ve tried the frustratingly inadequate online courses. 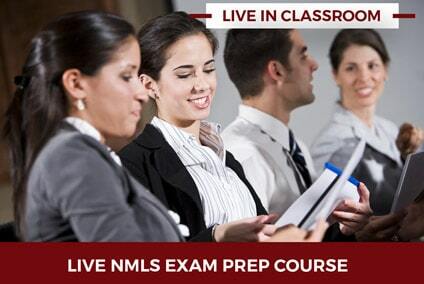 Now it’s time to succeed with a LIVE NMLS Test Prep crash course. Emails like the ones above are a familiar sight in my inbox. Student after student feels “beyond frustrated” as they try to figure out the NMLS exam that they absolutely have to pass in order to get that in-demand MLO license. You aren’t alone if you feel confused, overwhelmed, challenged and just plain… defeated even before you’ve taken the exam. And here’s an unvarnished fact: It’s NOT your fault. 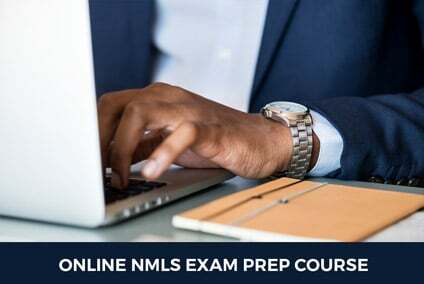 Passing the NMLS exam isn’t child’s play and most online pre-licensing and prep courses leave you grossly underprepared and alarmingly overwhelmed. The exam is bulletproof-tough, but sadly most online courses gloss over the concepts while focusing only on ‘sample’ tests so if you get a question that you didn’t practice in the sample test —> you’re bound to not know the answer. The quick-action, success driven 5-hour intensive LIVE crash course for powered-up NMLS prep. The endless going round in circles. It’s time for you to take all of these, crumple them and toss them out of the window.  …with this intensive 5-hour crash course, you’ll get laser-focused training on the concepts that you need to know like the back of your hand. You know what’s worse than struggling to study for the NMLS exam? Struggling to study all by yourself! With this LIVE 5-Hour Crash Course, you’ll get direct, face-to-face access to a trained and highly experienced instructor. PLUS, you’ll get to connect with other students so you can make your own study group, if needed. AND, you’ll join our Facebook community as well so you can continue to brainstorm with other students and get instructor access too! We’re putting an end to this struggle of one. Period. Considering most mortgage loan originators make anywhere between $68,000 to $210,000 (source: Indeed.com), this $205.00 for a 5-hour crash course is the best investment you can make for your professional success. At approx. $32/hour, this LIVE crash course is a steal when you consider that you’ll be making double, or even triple, of that as an MLO! Crush doubt and despair with our intensive, well-organized and easy-to-understand lessons that’ll arm you with everything you need to know about Federal Lending Legislation, Ethics, Uniform State Content and more! We take our success very seriously and will arm you with study material, including sample tests, slides, a special student workbook and even study drills so you can dive deeper even after the class and nail your concepts. We’re firm about keeping class size to 20-25 students so you get undivided attention from your instructor and don’t leave with any unanswered questions. You’ll get an audio and video recording of the Crash Course so you can review it anytime you like, whenever, wherever. Over $1,000 value study resources to speed up your success… FOR FREE! Each student will receive 5 hours of live instruction. Get access to a 4-hr video of an entire LIVE class session. You’ll get 375 Audible/Downloadable Flash Cards. You’ll get a copy of the Advanced Study Manual. You’ll get a copy of the NMLS Test outline. 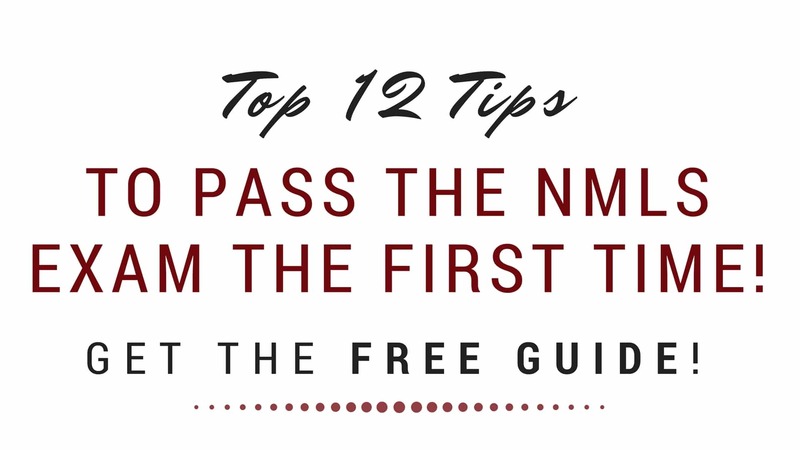 You’ll get a copy of the 12 TIPS to Passing the NMLS [Resource Guide]. You’ll get a copy of the “Step-by-Step Guide to Obtaining an NMLS License”. You’ll get a copy of “Definitions Related to the SAFE ACT [Resource Guide]”. You’ll get a copy of the “Federal Mortgage-Related Laws Study Tool”. You’ll get a copy of the “Loan Origination Activities Study Tool ”. You’ll get a copy of the “General Mortgage Knowledge Study Tool”. You’ll get a copy of the “Safe Act and Uniform State Test Study Tool”. You’ll get a copy of the “Ethics Study Tool”. Our courses are perfect if you are new to the mortgage industry and for experienced professionals who are getting back in the business. All courses are led by skilled lending professionals who know the business inside and out. Critical concepts are clearly and thoroughly explained, and all your questions are answered in our programs. 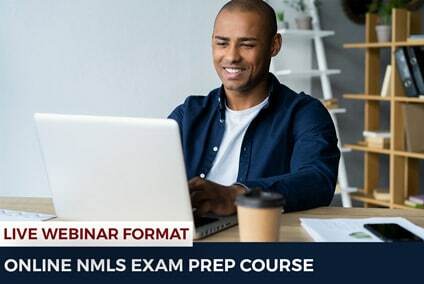 We have live, online and webinar style training for the NMLS Exam Prep Class that start on YOUR schedule. Three Convenient Choices – Pick Your Favorite!